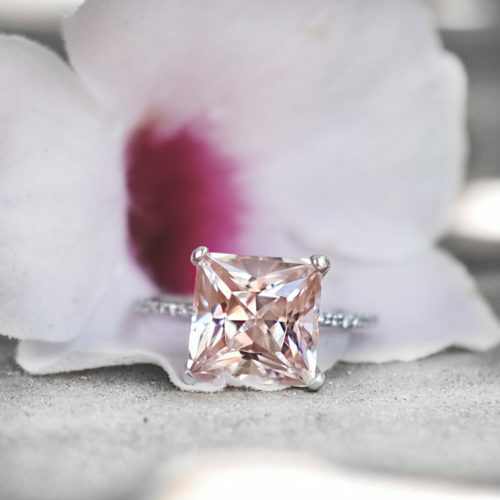 Absolutely beautiful ring. It is even more gorgeous in person. 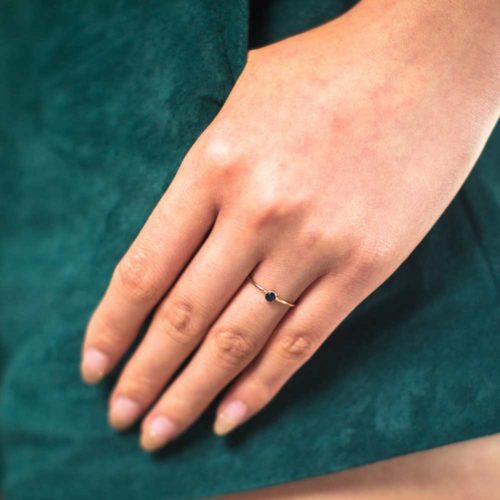 The band is very thin which makes it comfortable and easy to wear. 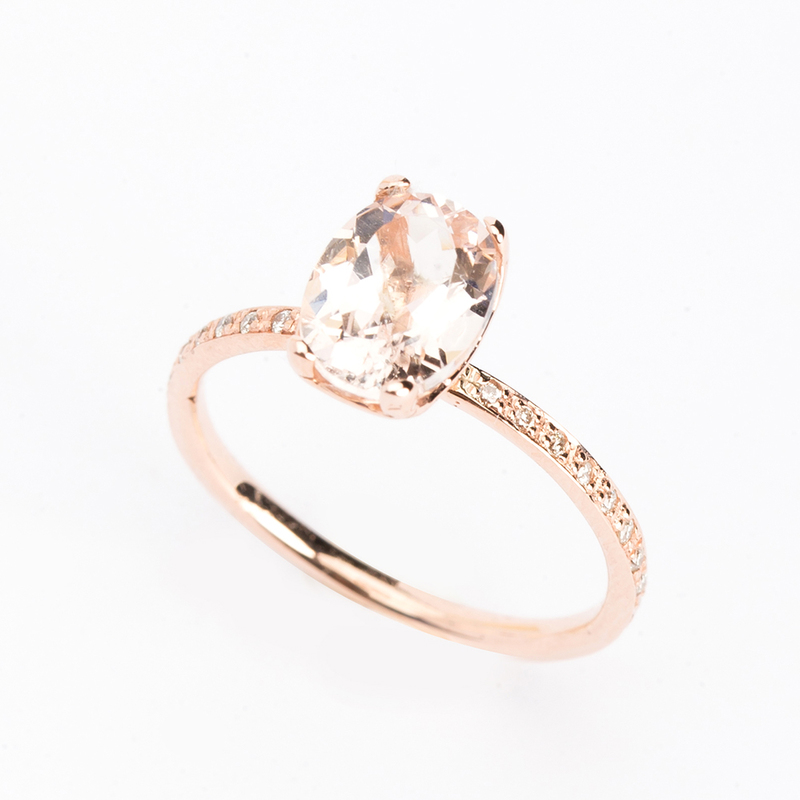 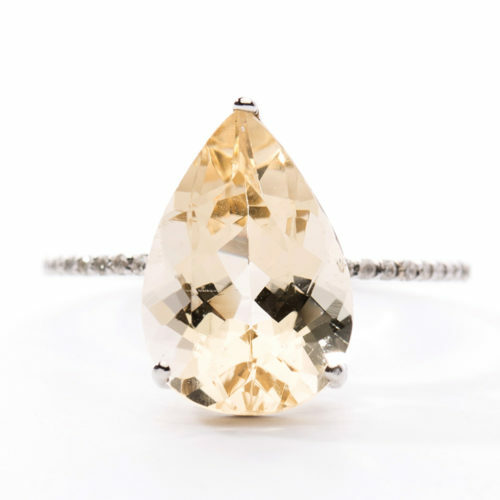 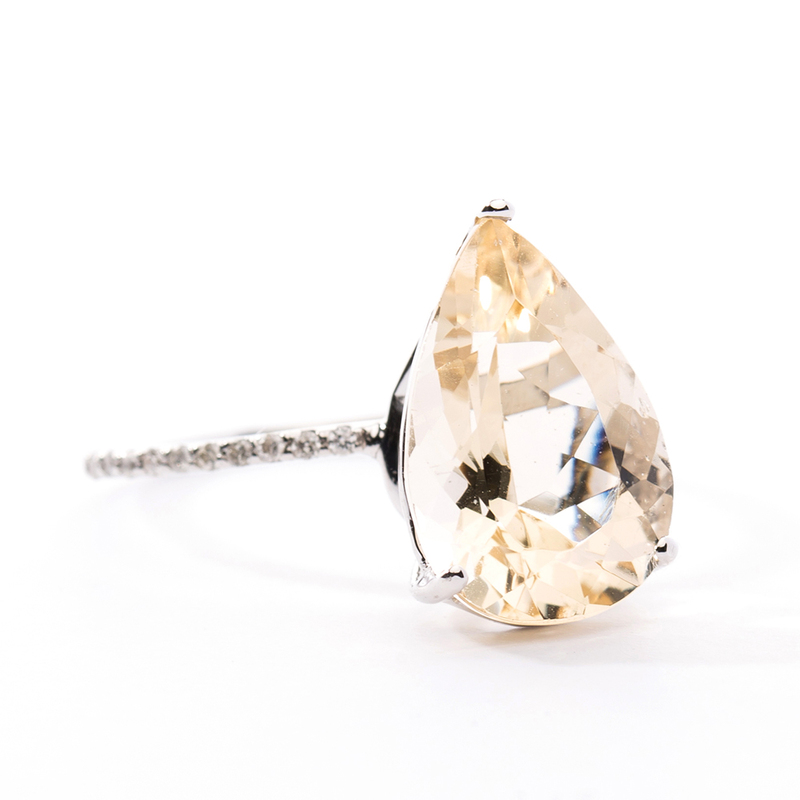 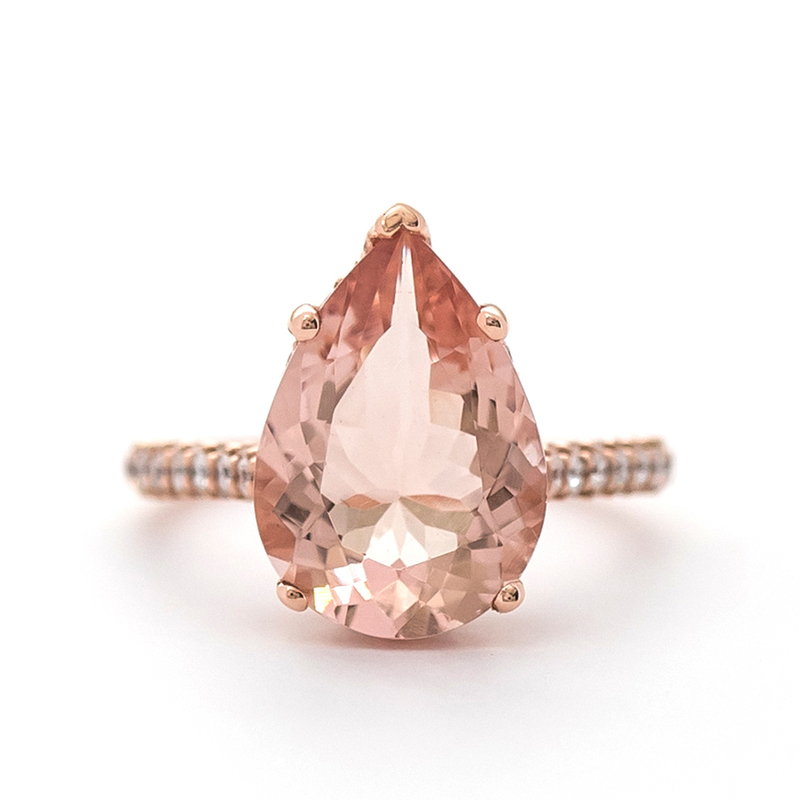 The peach morganite looks great in every lighting. 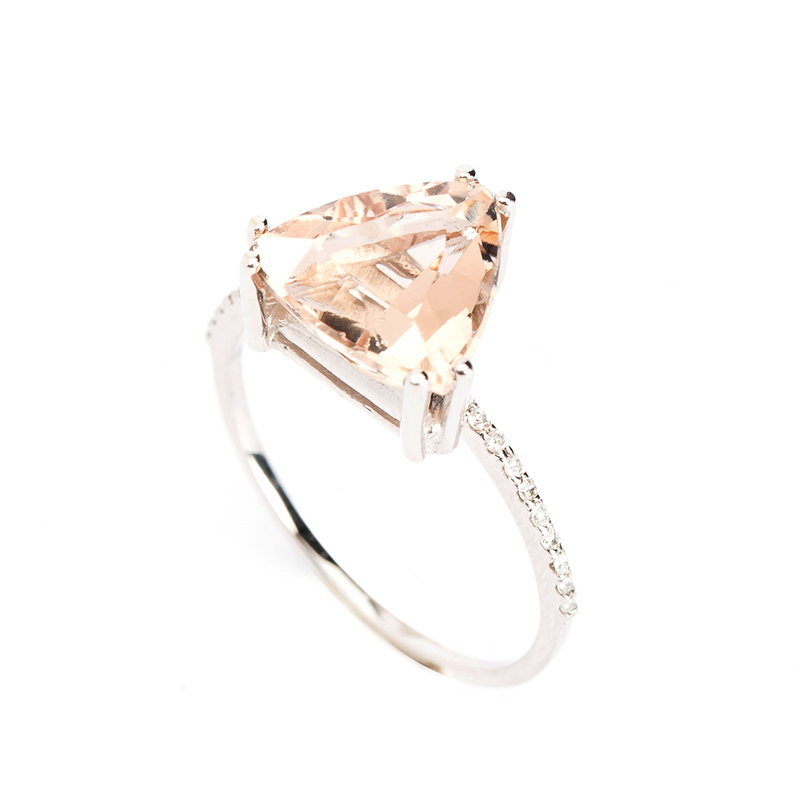 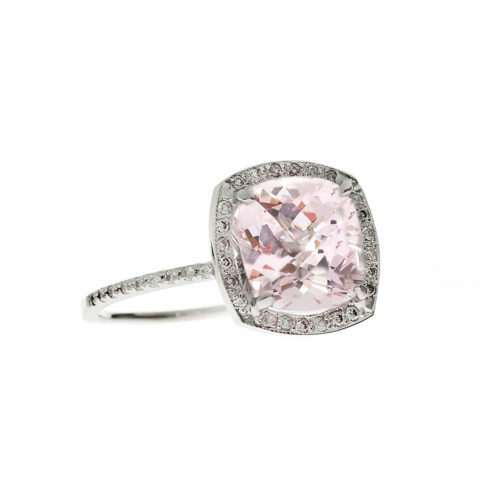 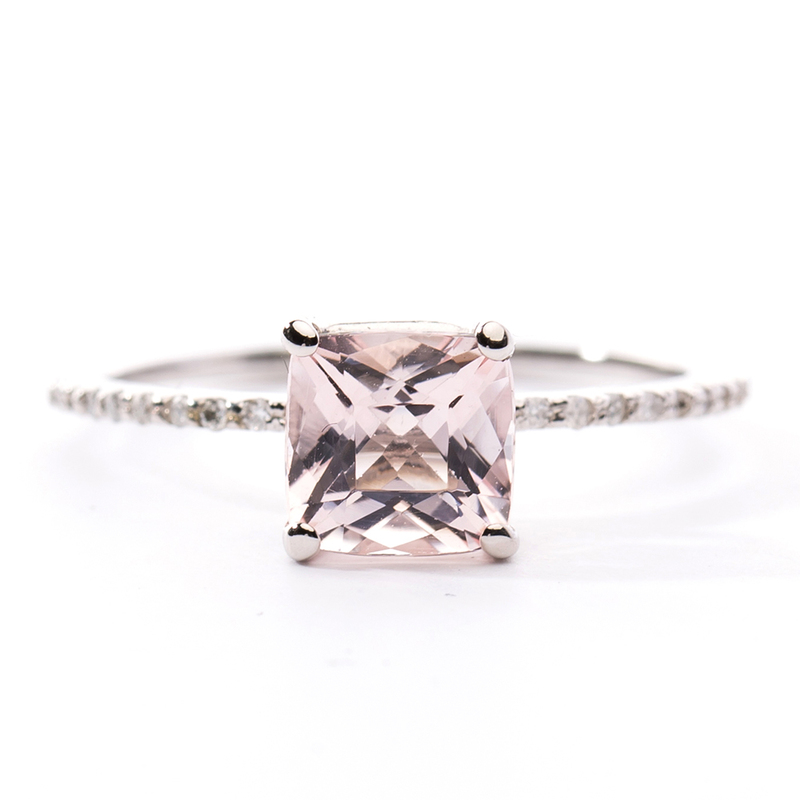 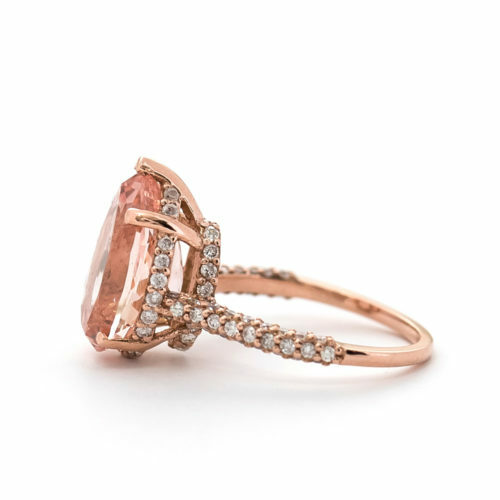 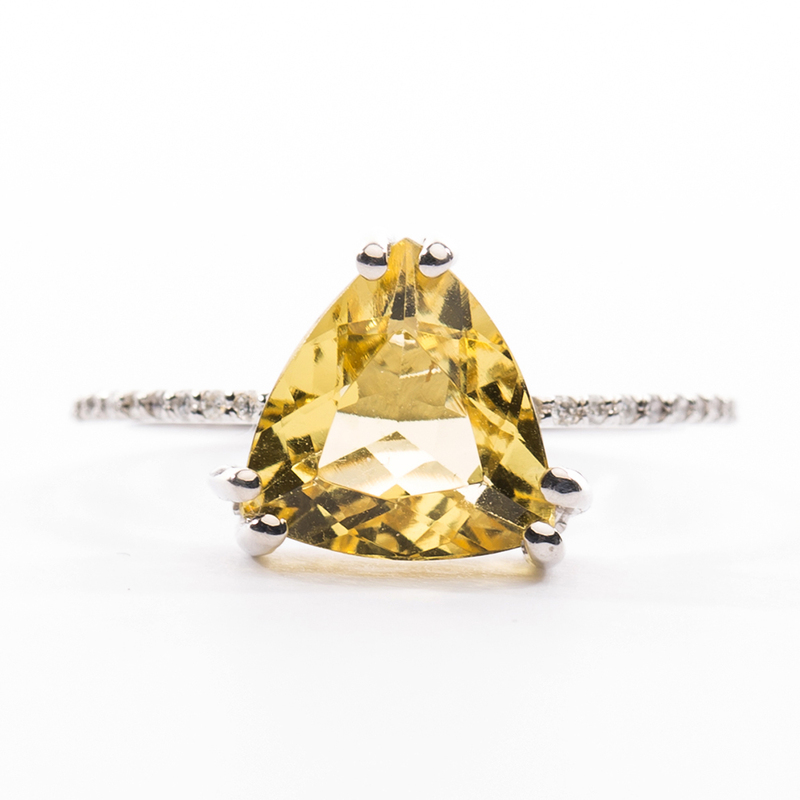 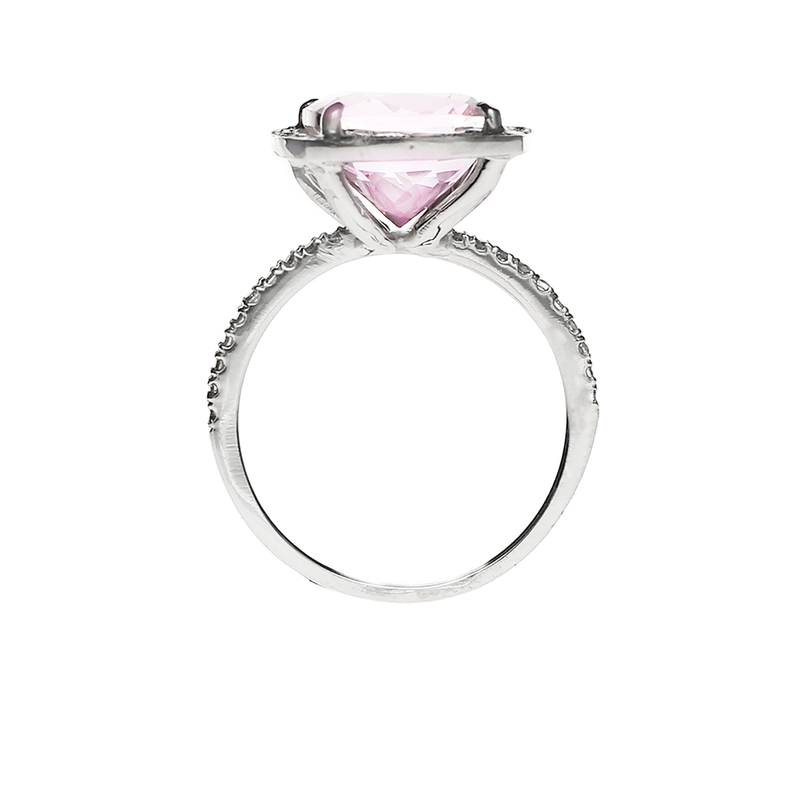 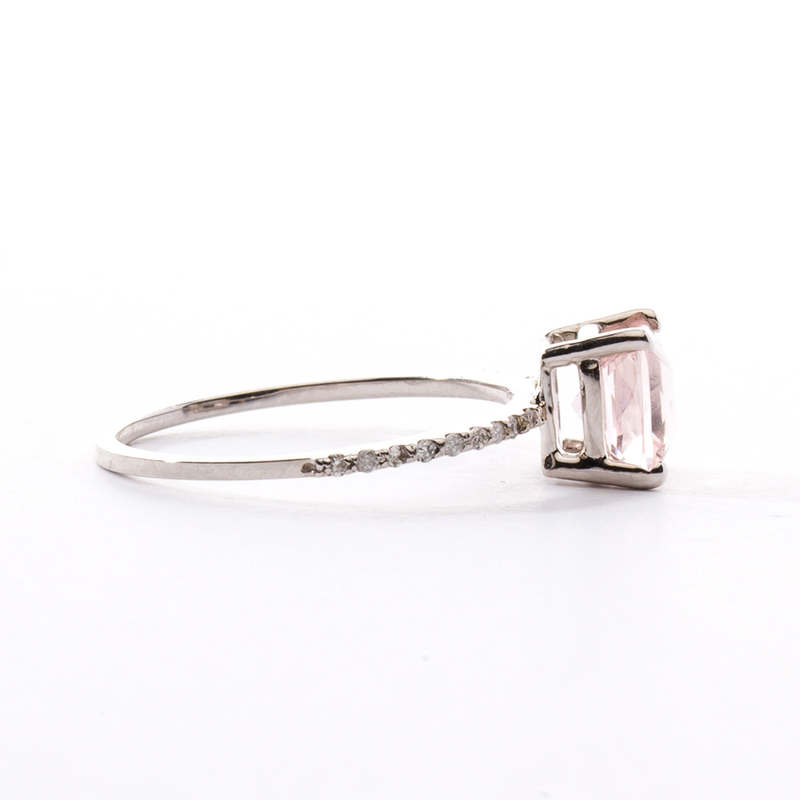 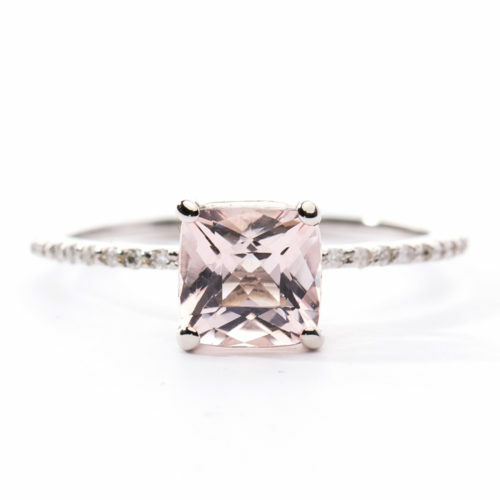 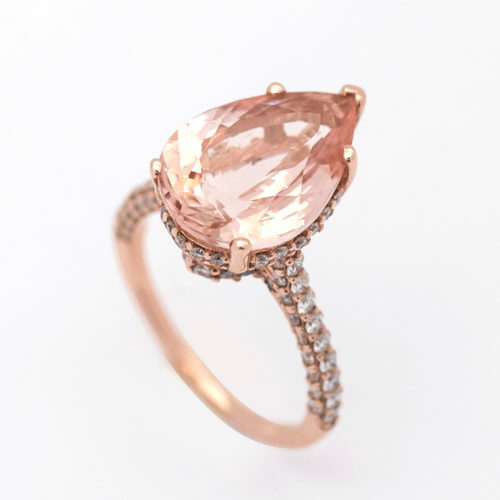 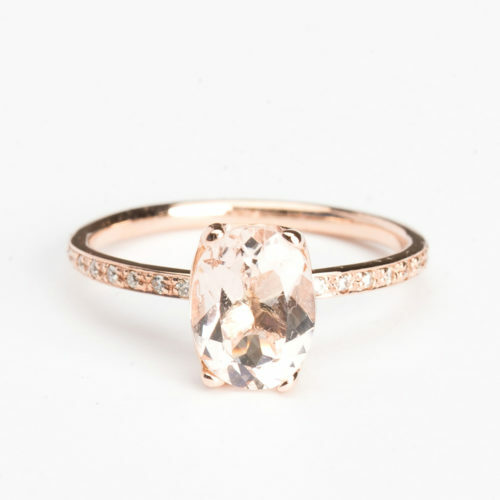 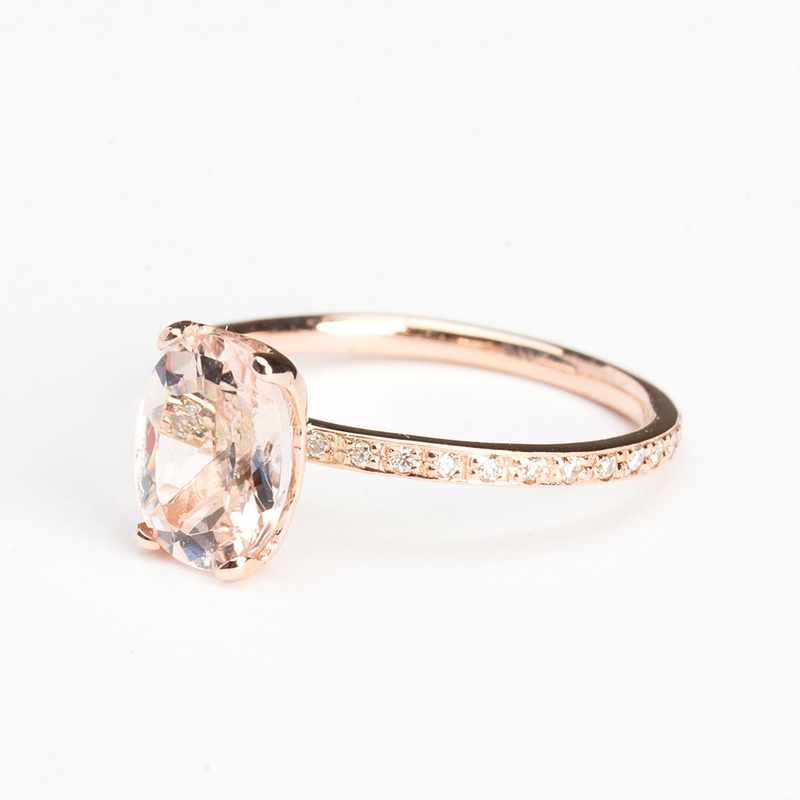 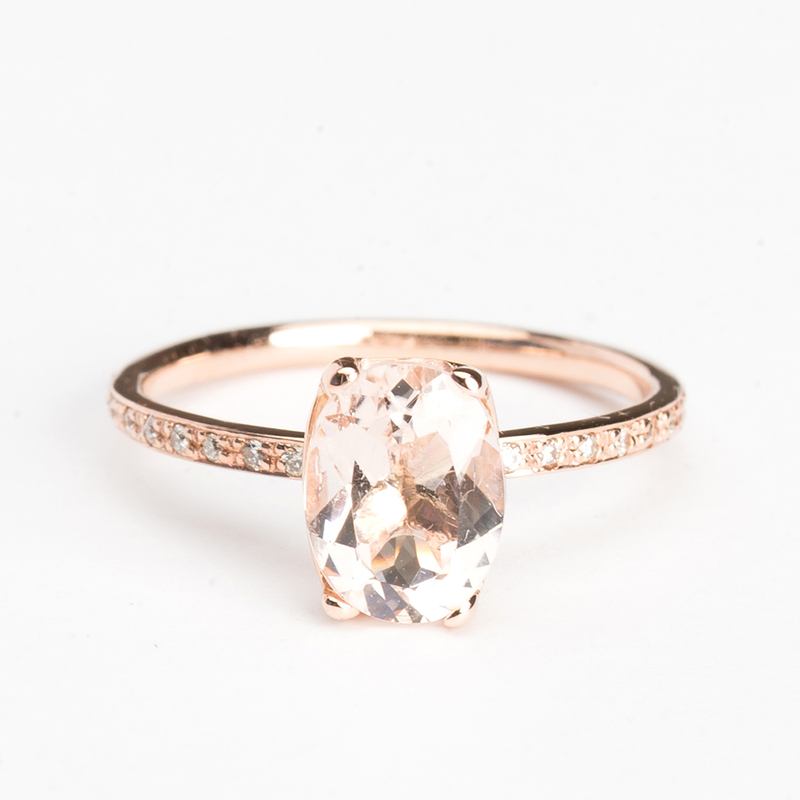 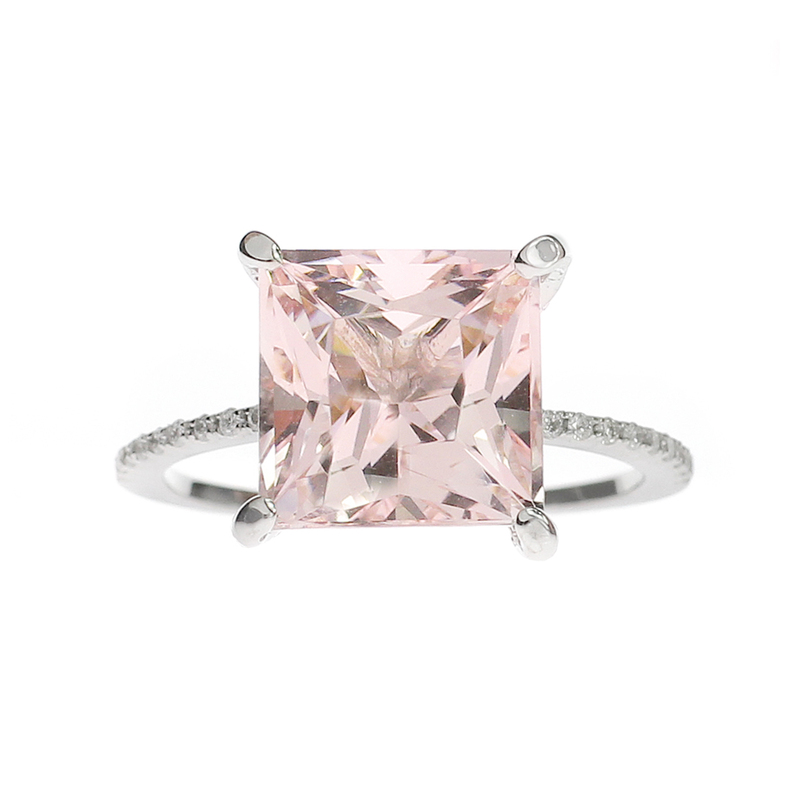 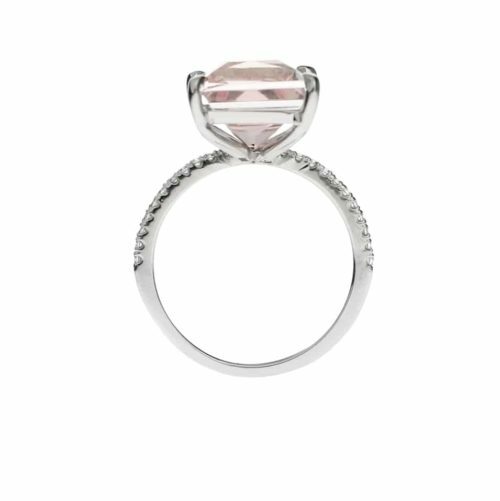 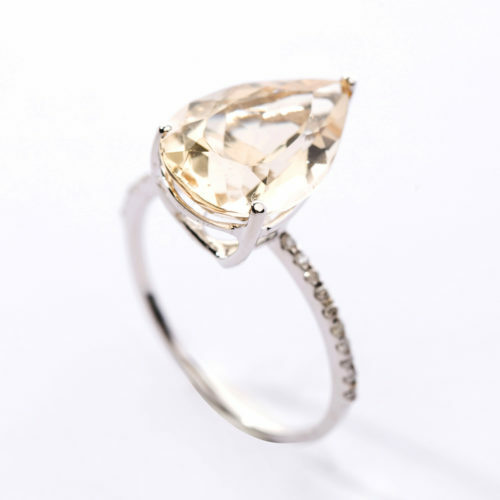 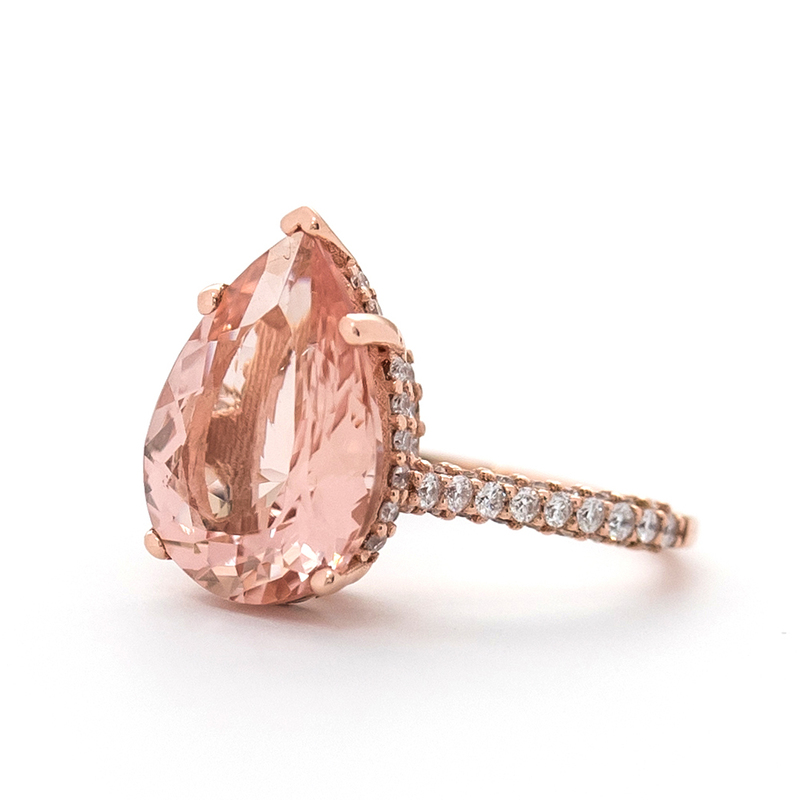 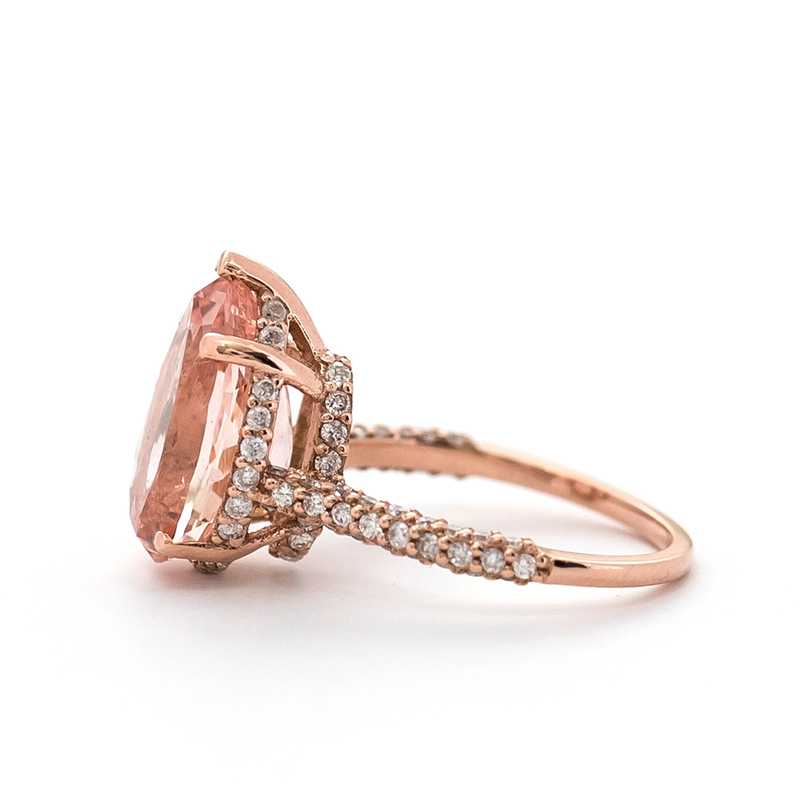 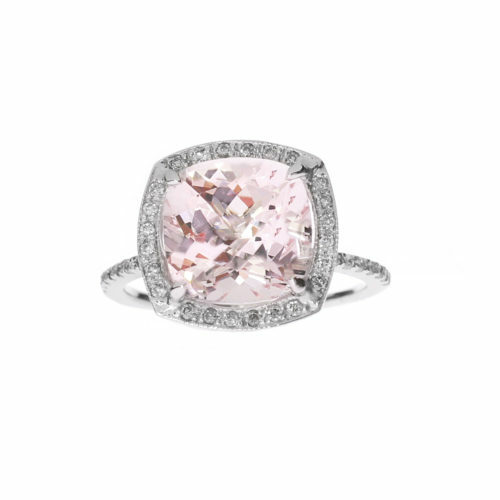 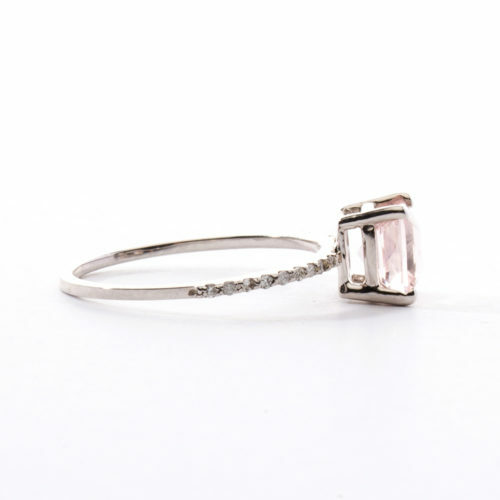 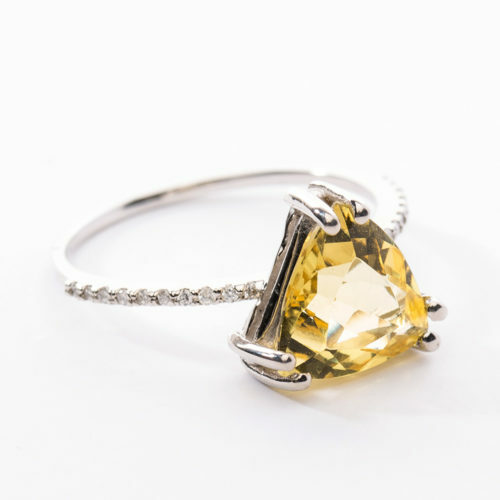 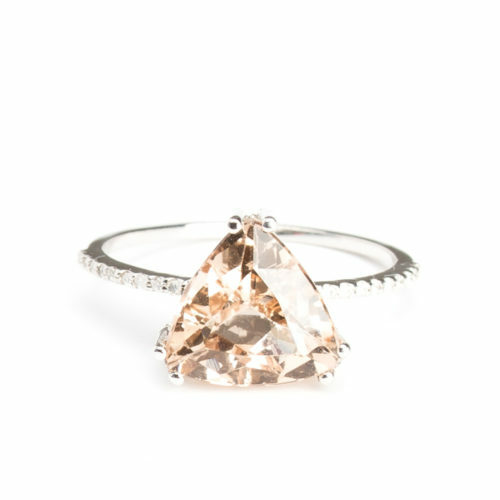 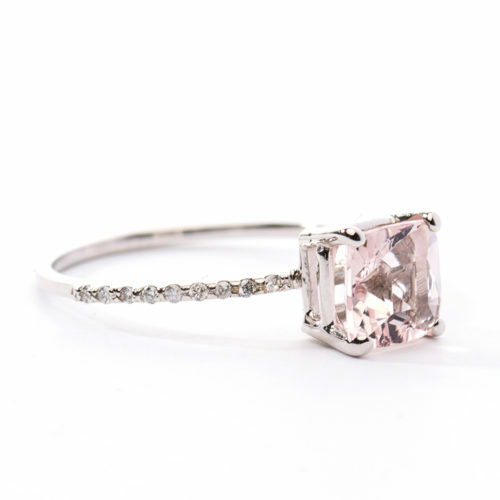 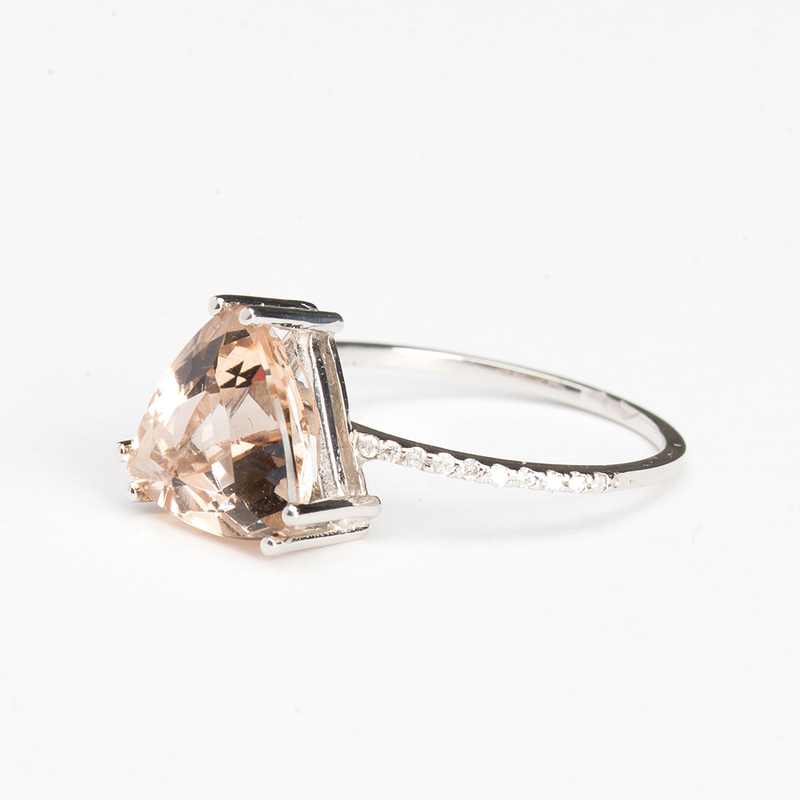 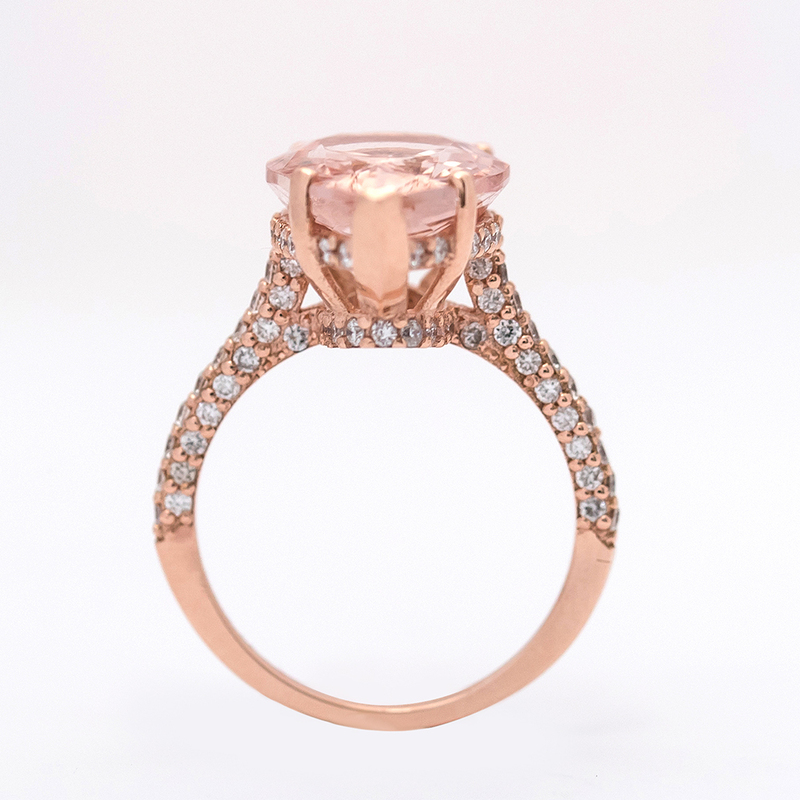 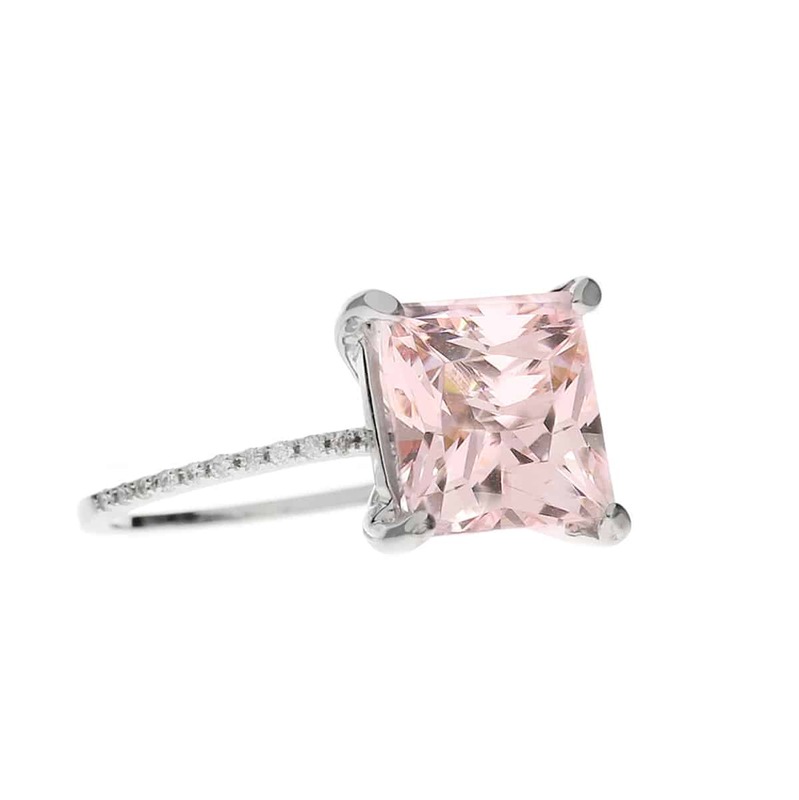 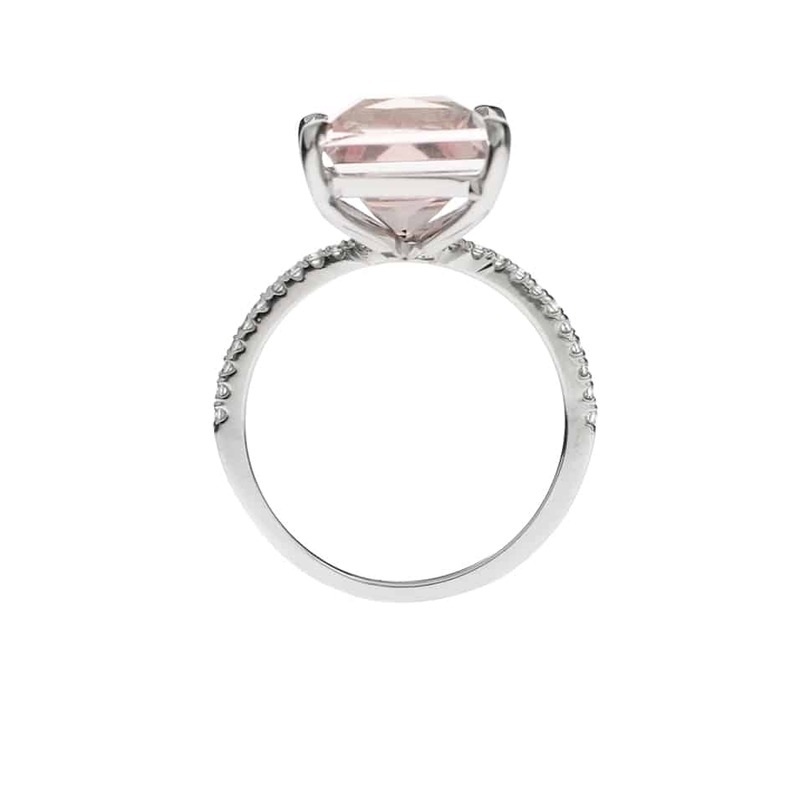 This ring is sure to attract attention anywhere you go with it’s sparkle and size of the peach morganite. 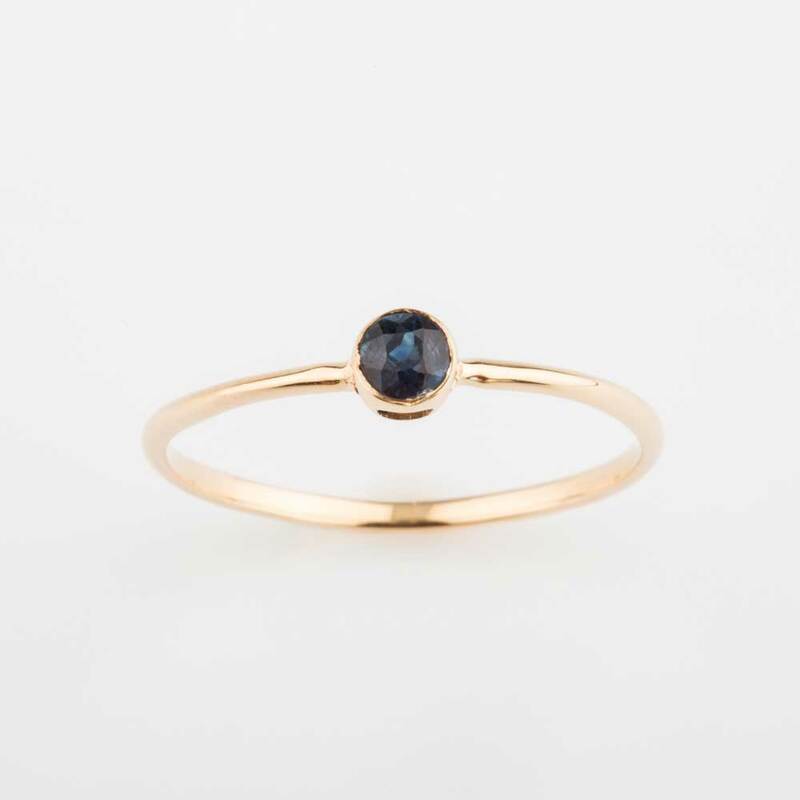 I have received SO many compliments on this ring and highly recommend you order one yourself. 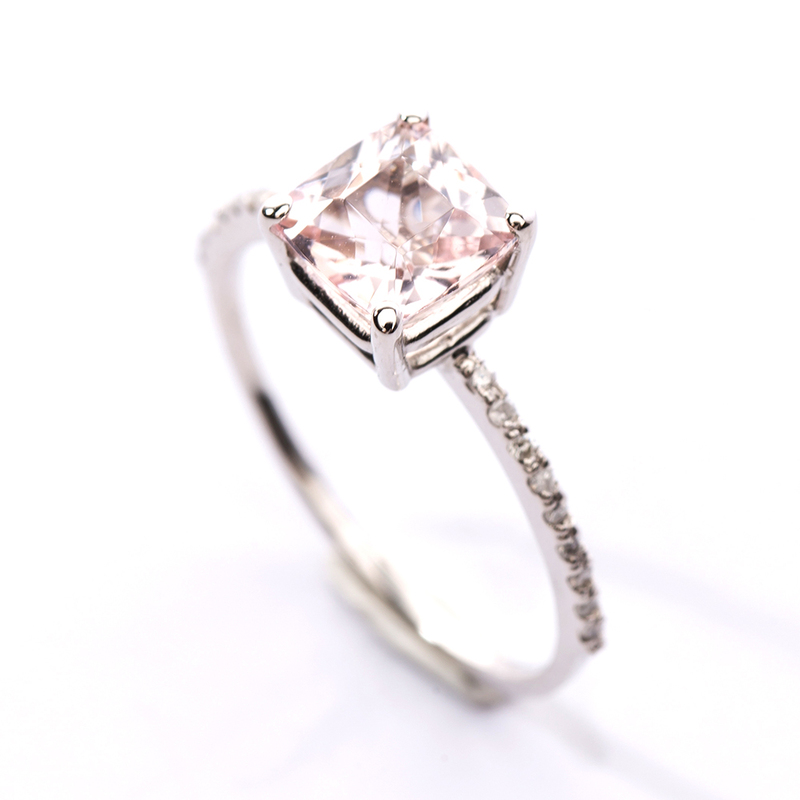 Christine is very easy to work with and kept me updated the whole time the ring was being made and has sent me several videos and photos during the process as well. 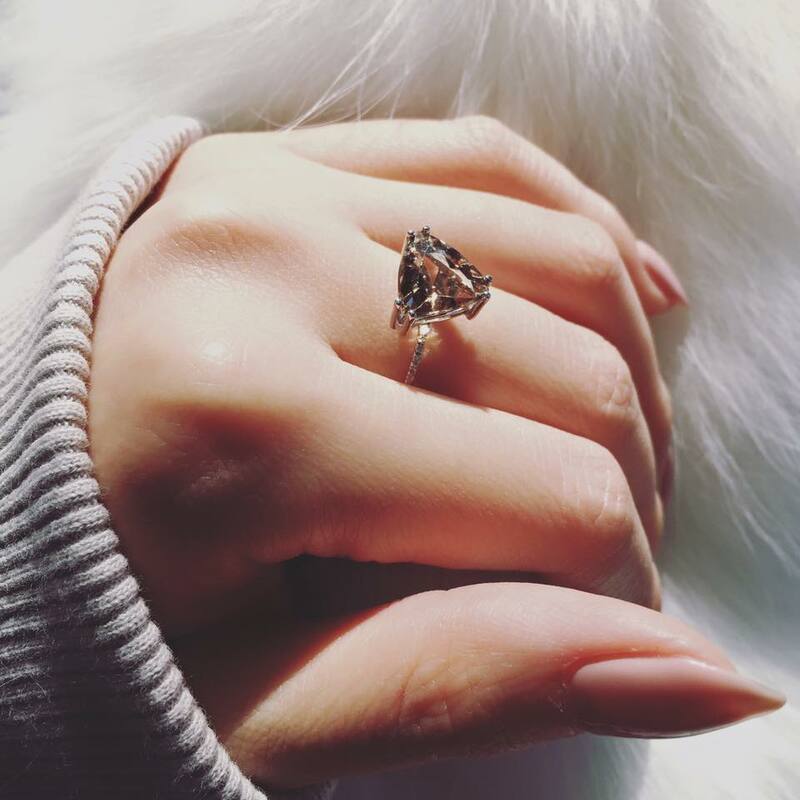 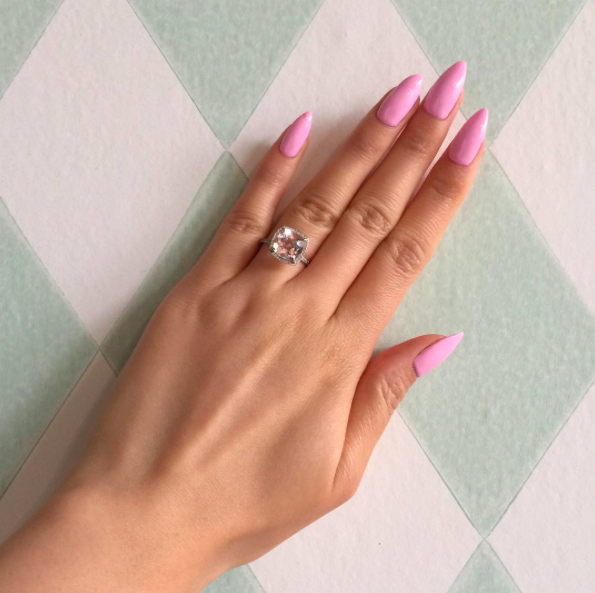 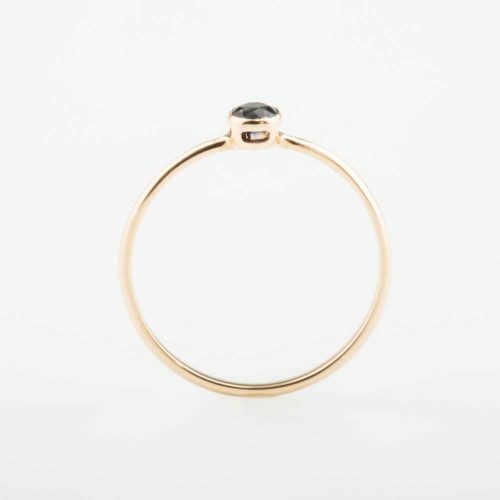 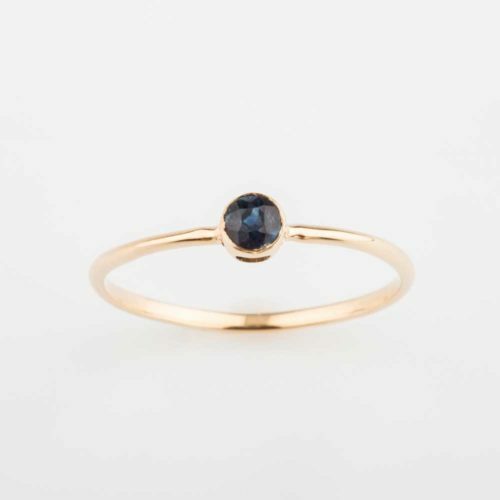 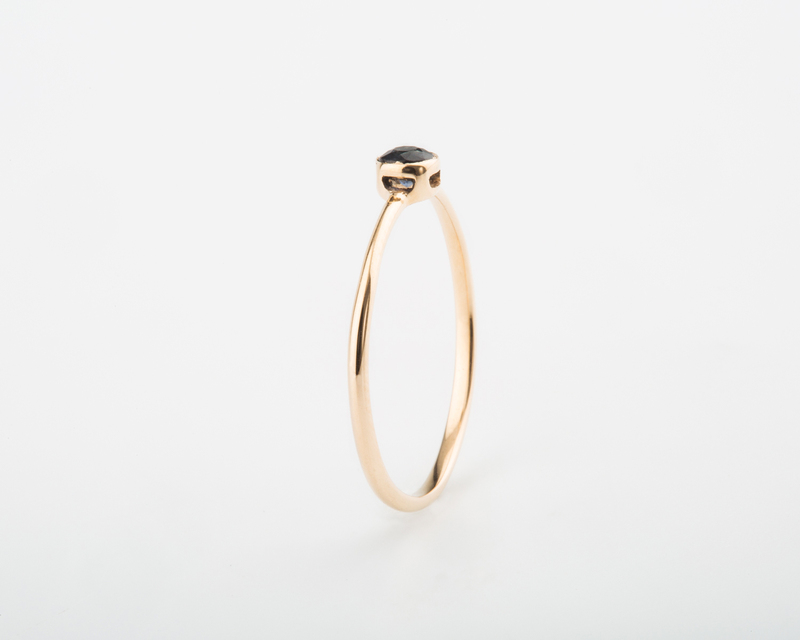 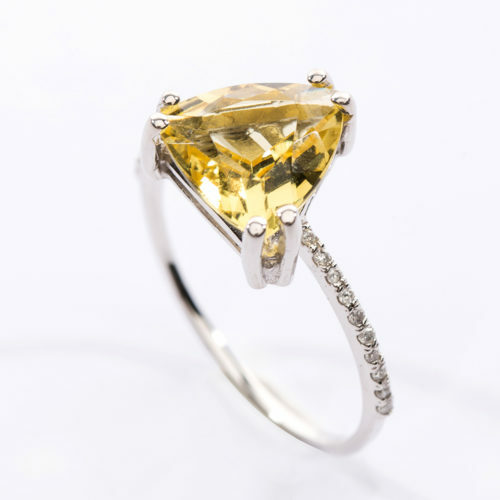 I love trillion cut rings, so when I saw this one I had to have it…It is even more gorgeous in person… I have received so many compliments on this ring and highly recommend you order one yourself…. 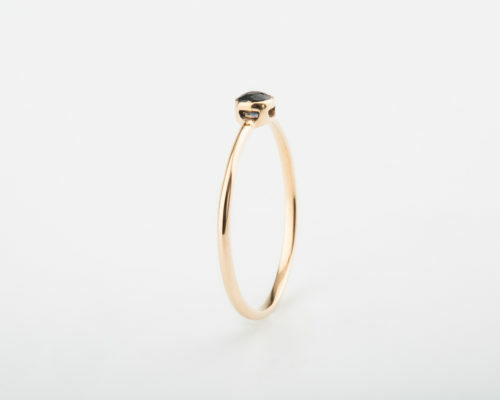 Christine is very easy to work with and kept me updated the whole time the ring was being made and has sent me several videos and photos during the process as well…. I had to send mine back because of some issues which Christine resolved the situation without no inconvenient….. 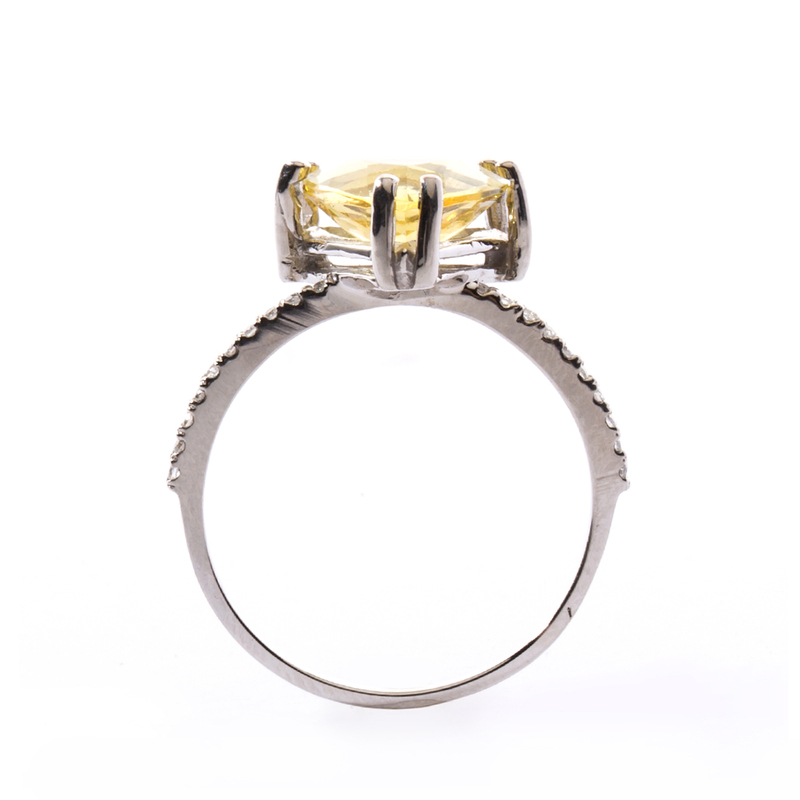 Excellent communication, excellent service, excellent ring.